This beautiful book offers 17 of the best-loved fairy tales belonging to French, Danish, German, and Polish cultures. Written in beautiful and lively language, this new edition of timeless classics has been carefully adapted to meet the expectations and needs of today's younger readers. Indeed, small children will welcome it with keen interest, readily making it their favorite first book of fairy tales. 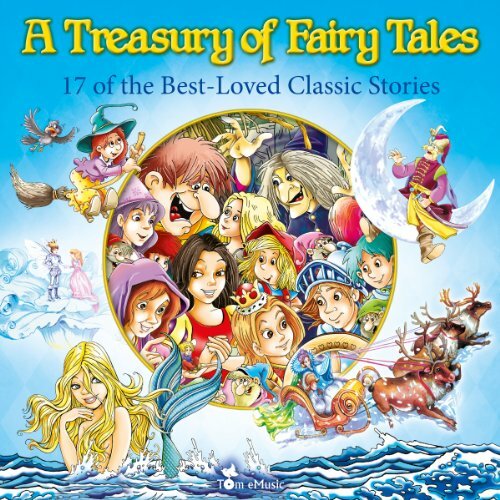 Amongst others, this enchanting selection includes: "Cinderella," "The Little Mermaid," "Little Red Riding Hood," "Thumbelina," "The Snow Queen," "Sleeping Beauty," "Hansel and Gretel," and "Puss in Boots."